The globe packs how the latest world map, AuthaGraph is made of. 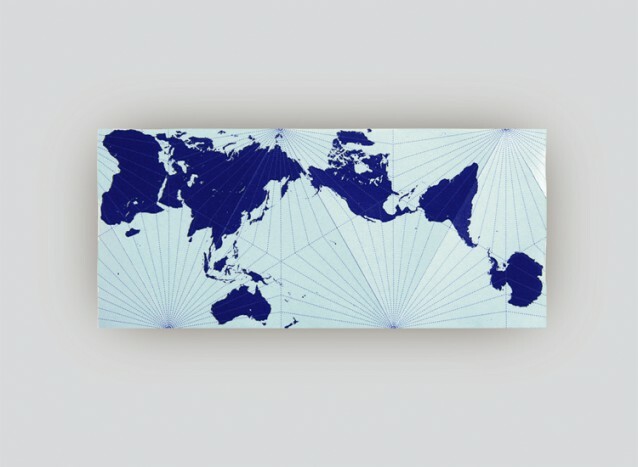 An AuthaGraph map is installed in the globe. The product three dimensionally reproduces two steps of its projection process from a sphere to a tetrahedron. 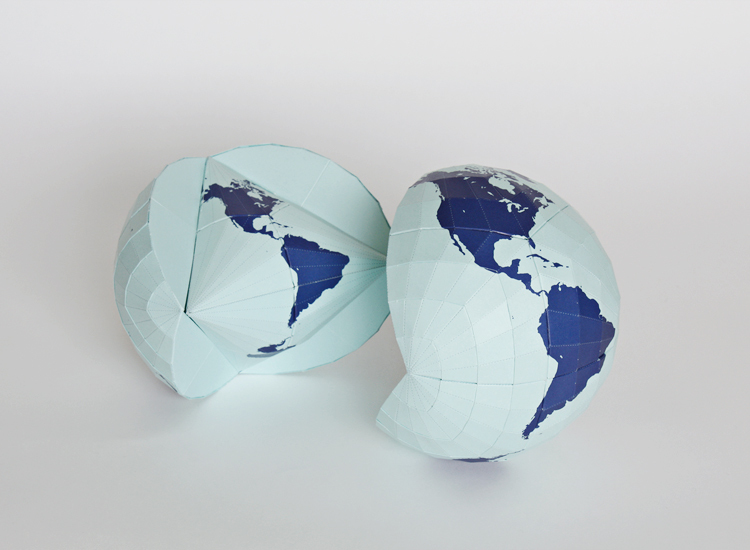 By assembling the product you can learn complex geometries of these three polyhedra used for AuthaGraph's projection. If you are interested in purchasing the map, contact us by email. You can order by credit cards with the service. And the shop can ship products outside Japan. 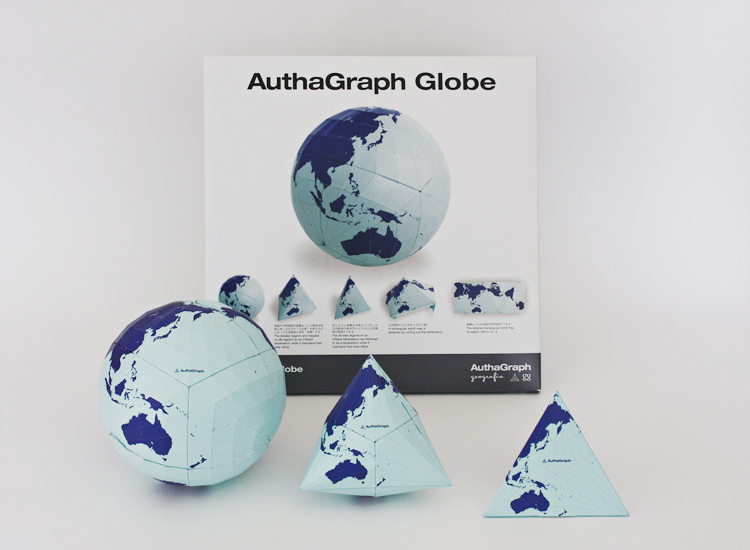 AuthaGraph Globe is a paper craft assembly kit. Three globes with different shapes are in one volume, sphere, tetrahedron and one in between sphere and tetrahedron. By assembling this kit, you can three dimensionally understand the process of how the AuthaGraph World Map is made of. 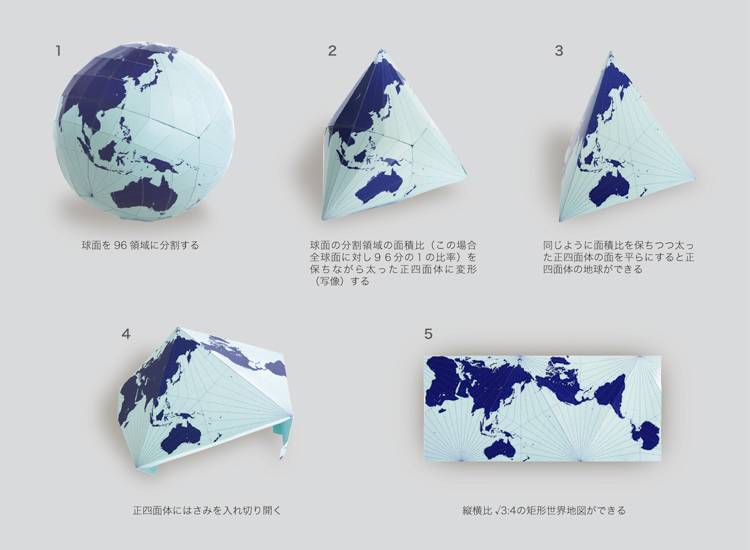 The composition of the three globes shows the process of how to project information on spherical surface to rectangular surface. A globe shaped an inflated tetrahedron fits in a spherical globe. 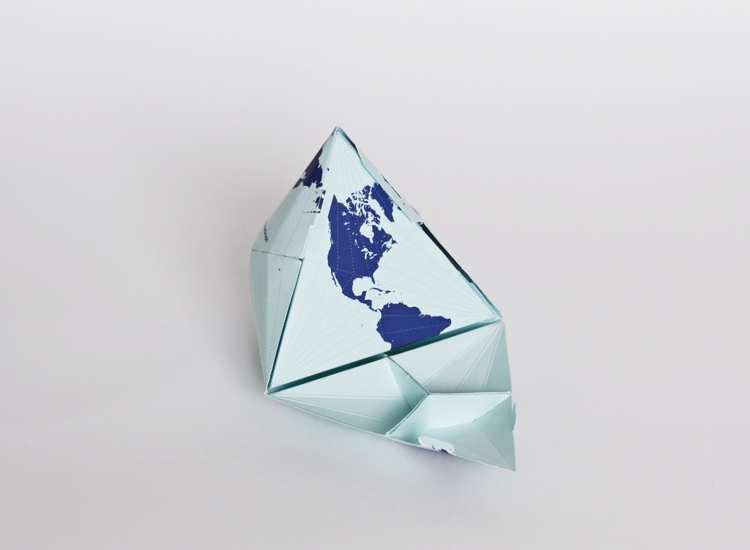 A tetrahedral globe fits in the globe shaped an inflated tetrahedron. A rectangular world map is obtained by unfolding the tetrahedral globe. Copyright © 2010 AuthaGraph Co., LTD. All Rights Reserved.